R16 series carbon potentiometers are available in mono or stereo versions. They have a 6mm knurled shaft. 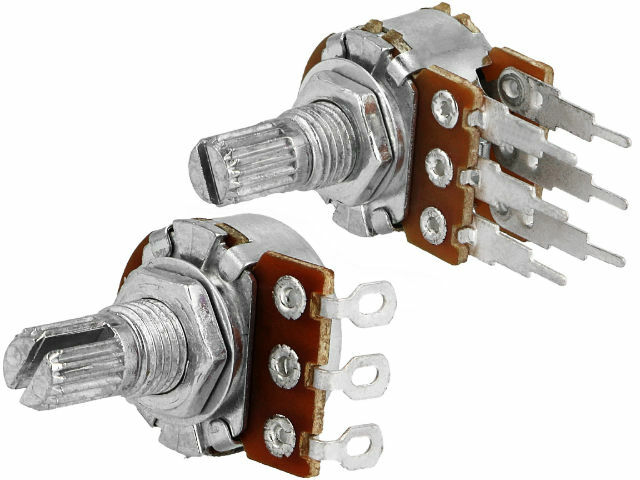 The offer includes potentiometers with terminals for soldering cables and THT mounting. Depending on a particular application, you can choose potentiometers with either linear or logarithmic characteristics. Check the full offer of carbon potentiometers from SR PASSIVES available at TME.